The perfect Windows 8 Start menu combining the best of Windows past with the direction of Windows future. Start Menu Reviver is the only Start menu that truly combines the familiar navigation structure of previous Start menus with the unique tile design of Micorsoft’s new modern Windows direction. Start Menu Reviver puts control back in your hands by allowing you to create your own launch pad. 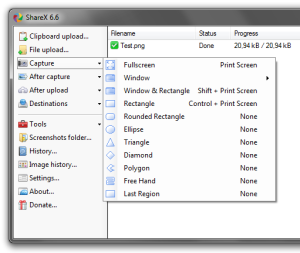 Create tiles for applications, Windows tasks, websites, documents, music files, video files and just about any other file. Start Menu Reviver is the only Start menu that is truly touchscreen-friendly, and has multiple re-sizing options, making it easy to use on both traditional and touch screen devices. Don’t just replace your Start Menu – revive it. Start Menu Reviver is designed for you, whether you just want a Start Menu back in Windows 8, or want to have more control in Windows 7. Start Menu Reviver is the only choice that brings back the familiarity you’re accustomed to and embraces the enhancements in the future of Windows.